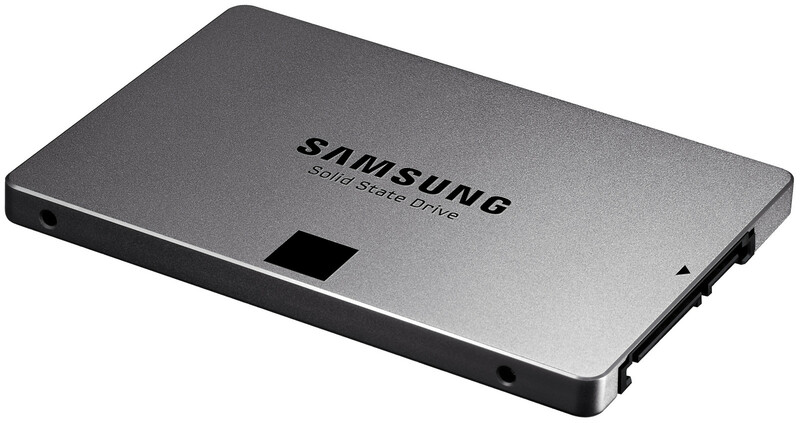 Fortunately, the prices for such SSDs are kind of affordable now. 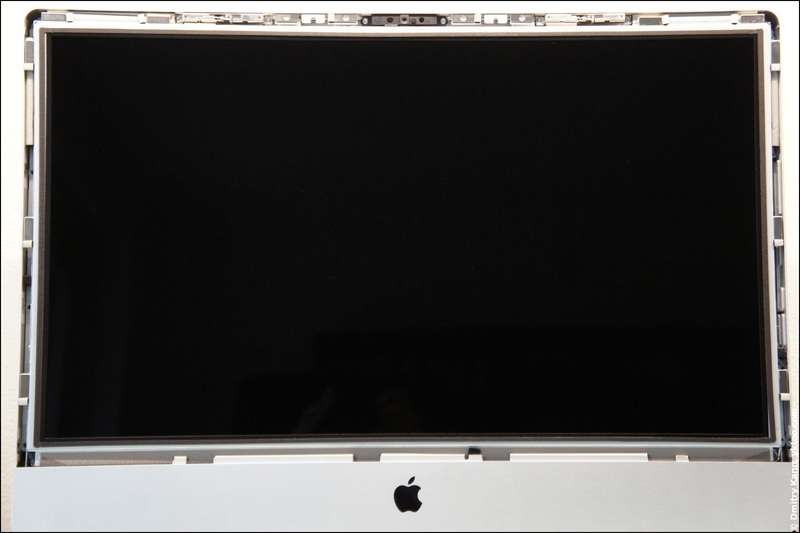 I was lucky to own a mid-2010 iMac, whose front glass is held in place by magnetic latches. All the newer models have the glass firmly glued to the case, which would require a special thermal fan to detach. After watching a very good instruction video by OWC, it's time to start off. To detach the glass, stick the suction cups to its top-left and top-right corners. Pull the glass slowly and gently, but evenly and firmly. By all means avoid touching the inner surface of the glass or the display! It's nearly impossible to wipe the fingerprints afterwards, according to forum messages. Wearing thin cotton gloves is a good idea. The removed glass should be hidden somewhere, far from people and pets. It's also advisable to cover it with a piece of cloth to protect it from dust. 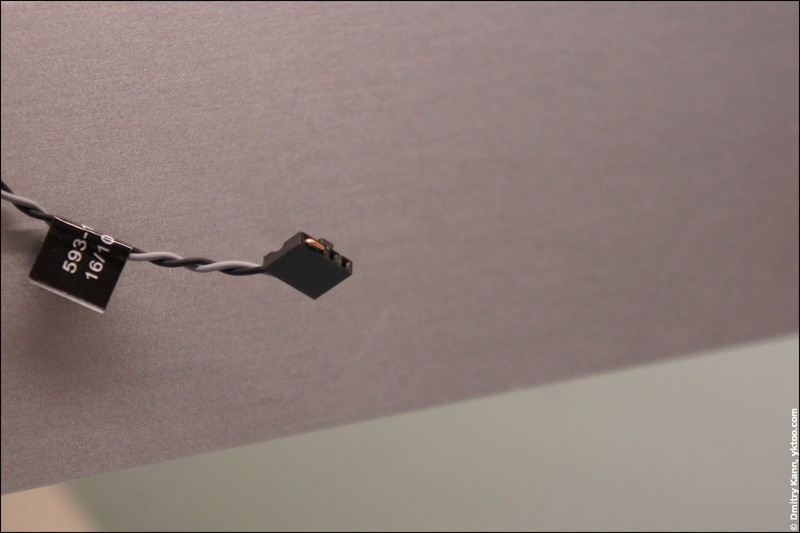 The display module is fixed by eight Torx T10 screws, so make sure you have an appropriate screwdriver. I'd recommend yet again to watch the above mentioned video, to figure out what cables and connectors to unplug, and how. 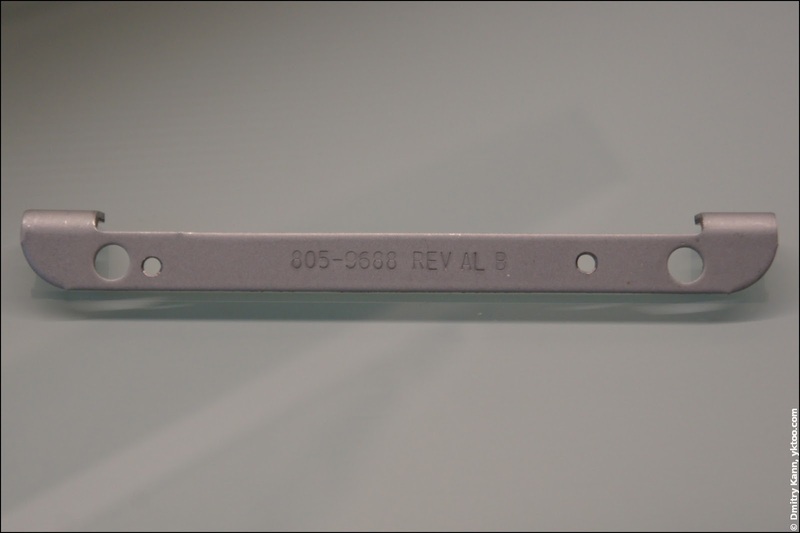 The extracted display is also to be stashed in a secure place, free from fingerprints and dust. Unscrew two screws at the top and take the corpse out. Its bottom is fixed by pins, so you can simply pull it up and out. Don't forget to unplug the data and the power cable, and also the thermal interface (explained below in more detail). The brace is to be reattached at its original position, then connect the data and the power cables. This pretty straightforward surgical operation has an important detail that is actively discussed on web forums. 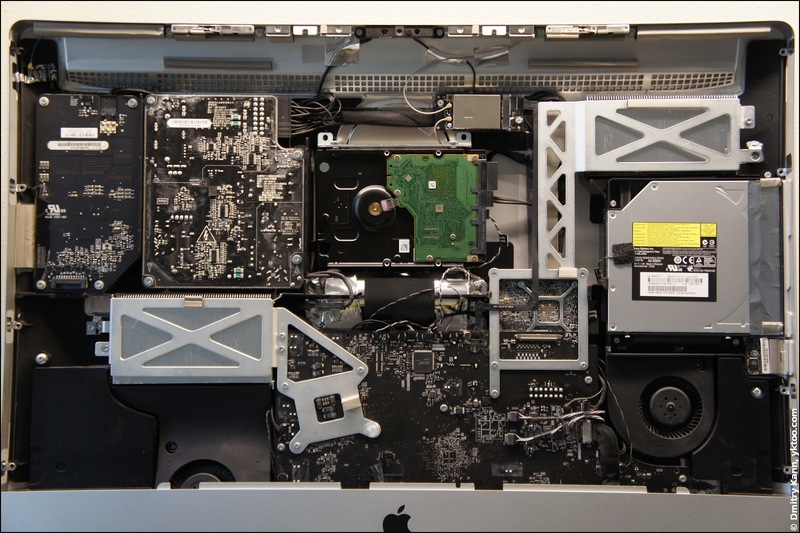 Seagate's Barracudas are equipped with a temperature sensor, normally connected to the iMac with a separate cable. 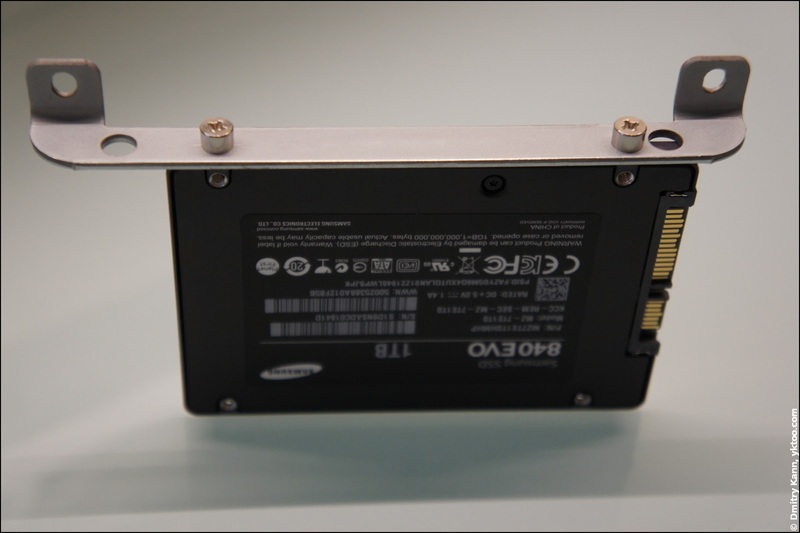 However most SSDs don't have anything like that. 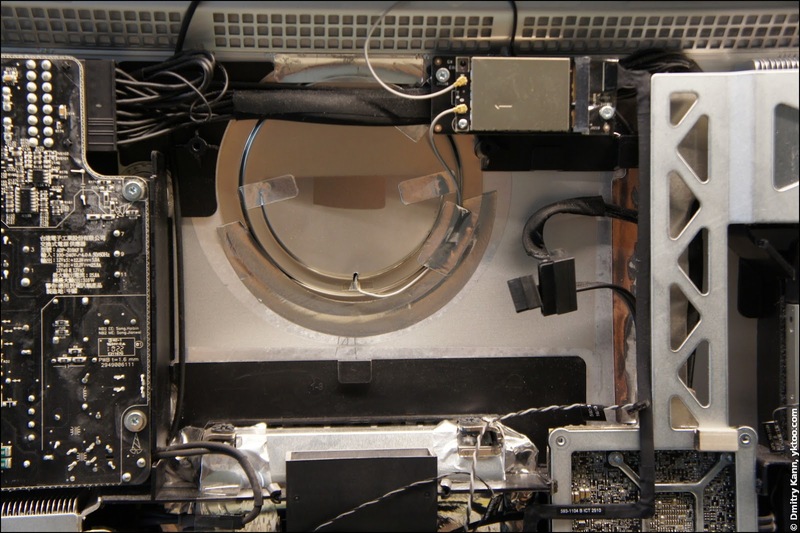 If you leave the thermal interface unplugged, the system assumes the drive temperature is maximal, so it drives the cooling fan at the maximum speed. 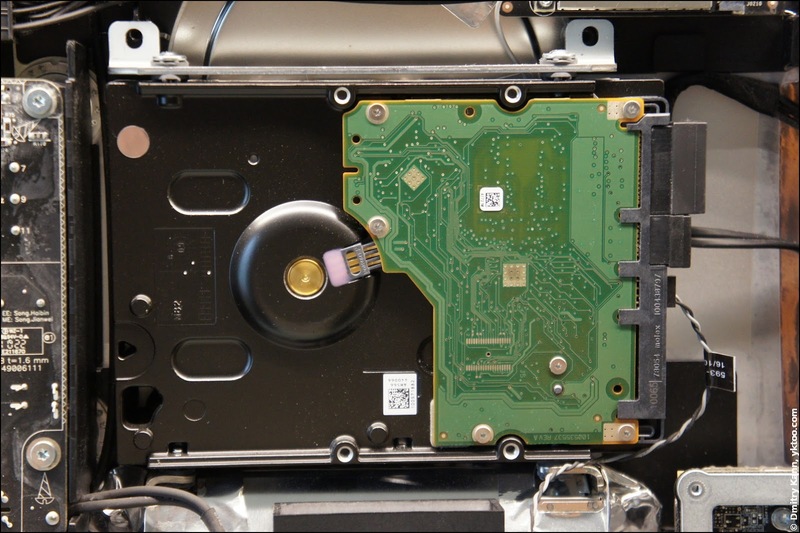 There is a number of workarounds, like a special fan control utility (only for Mac OS) or a replacement circuit that mimics the original sensor. I didn't see any negative effects of such a blunt solution during the next months of active usage. The fan's behaving well, so is the system as a whole. Now retrace your moves of the step #2 by reconnecting the cables and refixing the display with eight screws. If you've got everything right, the computer will start up and ask you what to do next. The rest is a usual routine. I had to begin with Mac OS X installation from the original DVD, then repartition the drive and install Ubuntu in a separate partition (installed 14.04 Trusty Tahr without a glitch). I'm making back-ups regularly, therefore I wasn't affected that much by HDD failure. Even better, I've salvaged the remaining unsaved bits in its last minutes (among which my post about Houten, by the way). After that the drive has never been seen alive—after a few hours of ddrescue, which I ran out of curiosity, I failed to extort a single byte of data. It doesn't reach the promised 540 MB/s though (because my iMac only has a 3 Gbps SATA III interface), but I'm happy with what it is. 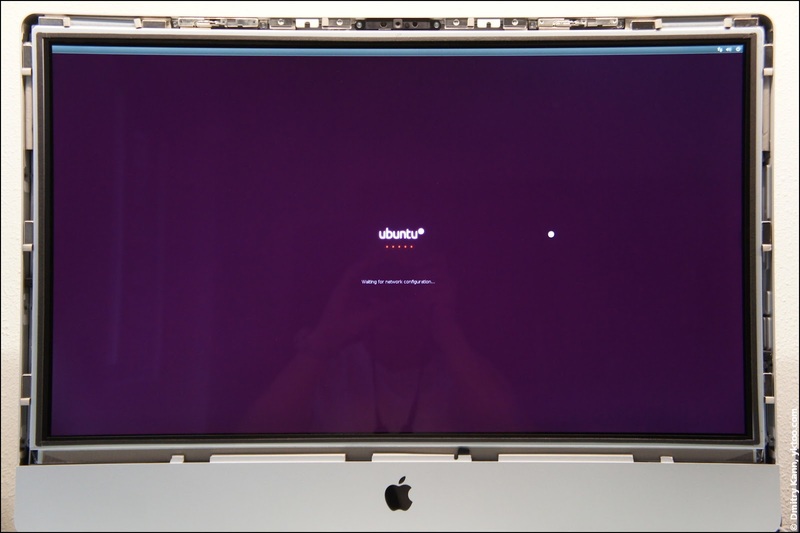 Continue reading: how to tune Ubuntu for an SSD, there are some useful tricks.